The fifth biggest automotive manufacturer in the world, the Korean Hyundai Kia Automotive Group, has committed to moving to digital radio as standard across most of its Kia models in the UK, according to an announcement made today by Digital Radio UK at the IBC show in Amsterdam. 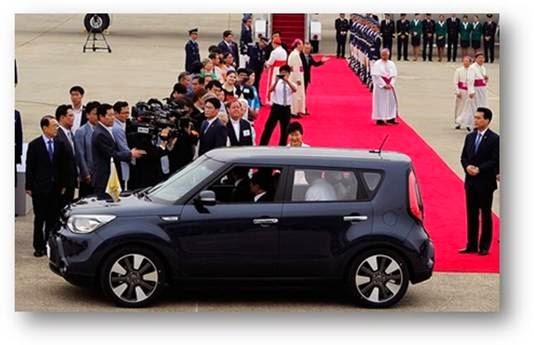 The Kia Soul, the Pope’s vehicle of choice when he visited Korea last month, has been launched with digital radio as standard and other Kia models will be upgraded as soon as possible within the product life-cycle. The Kia Sportage, the brand’s best-selling car in the UK, will get digital radio when the all-new version is launched this year. Kia and Hyundai are together the fifth largest vehicle manufacturer in the UK, with an overall market share of 6.6%. Ford Ennals, CEO of Digital Radio UK, responded to the news saying: “It's great news that one of the world's largest car manufacturers is prioritising fitting digital radios throughout the Kia range. This means Kia drivers can listen to all of their favourite stations on digital radio and will be able to receive the new digital network of national commercial radio stations when they launch next year."